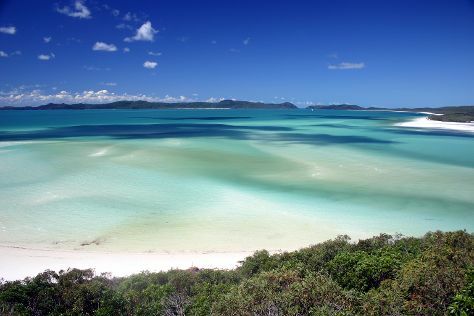 On the 21st (Sun), enjoy the sand and surf at Whitehaven Beach. For photos, traveler tips, other places to visit, and tourist information, read our Whitsunday Island trip itinerary maker tool . Sydney to Whitsunday Island is an approximately 4.5-hour flight. You can also do a combination of flight and bus; or take a train. Prepare for a bit warmer weather when traveling from Sydney in April: high temperatures in Whitsunday Island hover around 32°C and lows are around 22°C. Cap off your sightseeing on the 21st (Sun) early enough to travel to Cairns. On the 22nd (Mon), look for all kinds of wild species at Wildlife Areas. Get ready for a full day of sightseeing on the next day: hike along Esplanade Boardwalk, then take in the exciting artwork at Village Gallery, and then stroll through Palm Cove Beach. To see photos, where to stay, and more tourist information, go to the Cairns trip planner . Traveling by flight from Whitsunday Island to Cairns takes 3 hours. Alternatively, you can take a train; or take a bus. Expect a bit warmer evenings in Cairns when traveling from Whitsunday Island in April, with lows around 26°C. Cap off your sightseeing on the 23rd (Tue) early enough to go by car to Port Douglas. Start off your visit on the 24th (Wed): discover the deep blue sea with a scuba or snorkeling tour. On the 25th (Thu), you'll have a packed day of sightseeing: stroll through Wildlife Habitat Port Douglas and then experience rural life at Hartley's Crocodile Adventures. To find photos, maps, reviews, and tourist information, you can read our Port Douglas travel planner . Traveling by car from Cairns to Port Douglas takes 1.5 hours. Alternatively, you can take a bus; or take a shuttle. In April, daily temperatures in Port Douglas can reach 34°C, while at night they dip to 25°C. Wrap up your sightseeing on the 25th (Thu) early enough to travel back home.